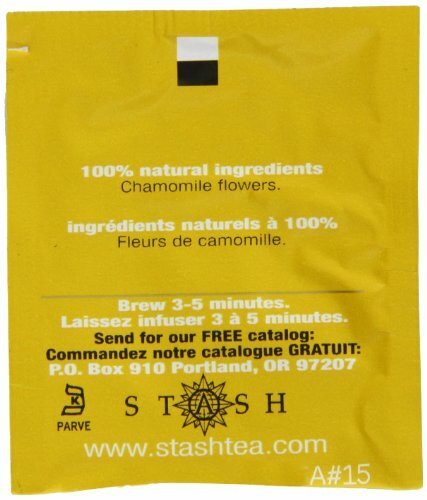 Premium Chamomile Stash sources its chamomile from Egypt, where the climate and centuries of expertise in cultivation makes Egyptian chamomile the very best. Egyptian chamomile has the largest, brightest flowers with the most fragrance and flavor. Chamomile brews a beautiful golden cup with a delicate, classic apple-like flavor and fragrance. It is a soothing drink that is good any time of the day, but especially relaxing in the evening. It is naturally caffeine free. 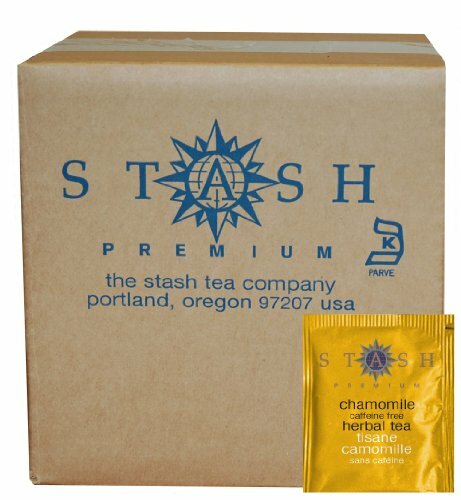 More Stash Tea Flavors to Try! 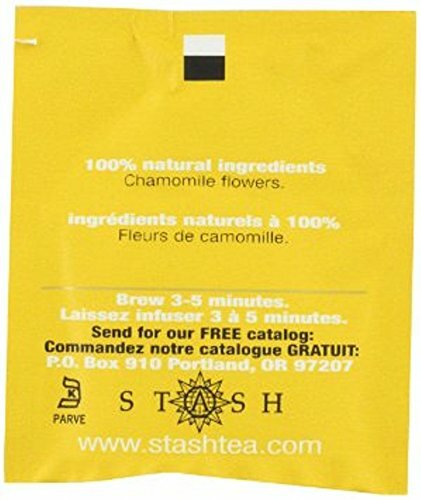 If you enjoy Chamomile Tea, you should also try Stash Chamomile Nights, Stash Apple Cinnamon Chamomile, Stash Herbal Tea Sampler and Stash Organic Chamomile. Stash Tea Assortments Our variety assortments allow you to sample several of our flavors! We have green, fruity herbal, exotic, organic, guyausa, holiday and black tea assortments to name a few! 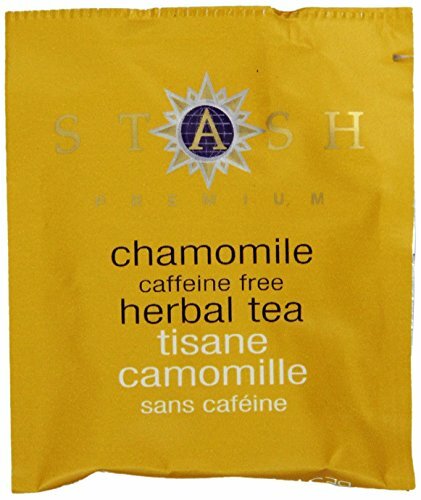 Stash Organic Teas We have fourteen certified organic flavors in herbals, green and black teas. Several flavors are also Fair Trade certified. Delicious Iced Teas from Stash Tea Our 24/1 ounce iced teas come in herbal, black and green tea and are a refreshing way to cool off during a hot day! Each brew bag makes a gallon of iced tea, dependent on the flavor. 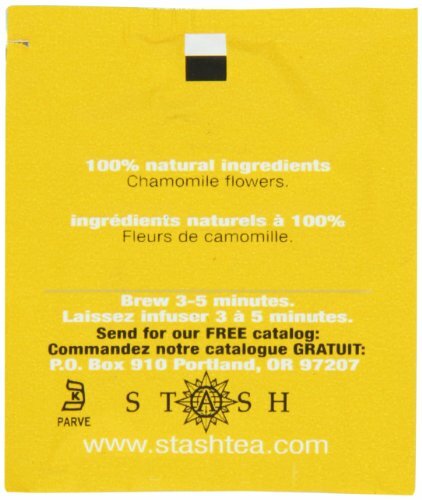 Stash Tea Loose Teas If you enjoy our tea bag flavors, you will be sure to love our loose tea! Many of our flavors are sold in 50 gram, 100 gram, and 1 pound packaging. 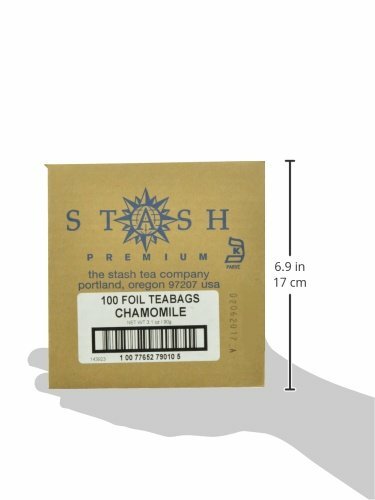 Our resealable pouch allow our teas to stay fresh. Stash Guayusa Tea Our newest line, Guayusa originates from the Amazon Rainforest of Ecuador and is produced from the leaves of a holly tree. Fair Trade and Organic certified. Six different flavors to choose from including Lemon, Mint, Yerba Mate & Ginseng, Chocolate, Chai, and Pure!